How far did I run in 2017? Home » Family » How far did I run in 2017? At the start of 2016, I started writing down all of my runs to see how far I ran in a year. I just wrote them down with pen in the back of the diary (I know, how very 20th century). In 2016 I managed a total 0f 705 miles for the year, which seemed pretty good. When I blogged about it, a real life friend said I’d just beaten her and she would have to do one more run in 2017 to beat me. Ever competitive, I said in that case I would have to do two more runs. So how far did I run in 2017? Well it all started off very well and actually went well for most of the year. I really loved running in 2017 and aimed to run four times a week – usually three four mile runs and a Parkrun, although in the summer I started doing a lot of six mile runs instead of the four mile runs, which I loved. I felt really fit and strong. 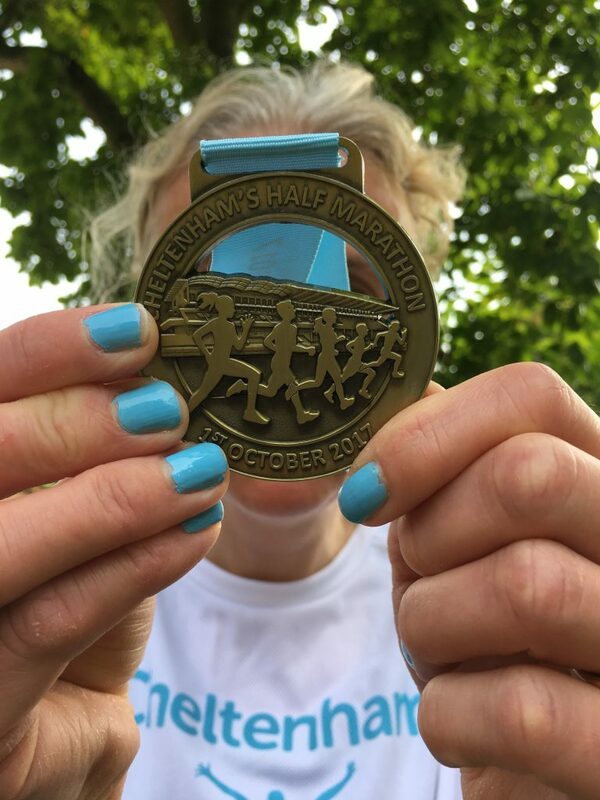 There’s not a lot stops me running – only illness or injury (my own or the kids’ if they need me at home to look after them). I don’t stop because the weather is bad or I’m tired or busy. There’s always time for a run. I had a minor blip in February when my daughter was very ill and I was forced to take a week off, but apart from that it went very well. I did two half marathons in 2017, both in October. I was just a few seconds below my PB at Cheltenham and beat my PB by over two minutes at Stroud three weeks later. I felt like I was invincible. At the start of November, I was 90 miles ahead of my 2016 totals, so my friend would have had to work pretty hard to catch me! But then I got hit by probably my worst ever injury. It’s the only injury which has literally stopped me in my tracks and made it impossible (rather than inadvisable or uncomfortable) to run. So that’s a total of 169 runs and 736 miles! Despite the blip, I managed to beat last year’s total and maybe also my friend?! My target for 2018 is to keep running and stay injury-free and do more half marathons. 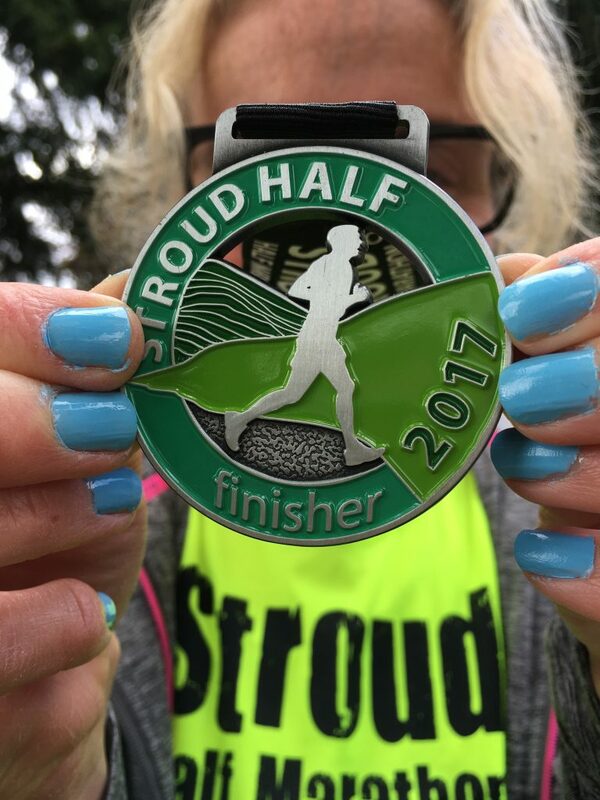 I’d like to do all the half marathons in Gloucestershire over the next couple of years. Wow! 736 miles is amazing! Thanks very much! Staying injury free is always the biggest challenge! Amazing! So glad you bounced back from injury quickly (though I bet it didn’t feel quick). Thanks very much! It didn’t feel that quick, although I was running again within the month. I’m still not fully fit, but I’m getting there! Wow, well done that’s a lot of miles! I want to do the 1000 mile challenge some time, but it will have to be a year when I start the year with a functioning sports watch! I hope 2018 is a good running year for you. Thanks very much! There’s a couple of other half marathons I’m thinking of for 2018, so I’m hoping to stay injury-free! Wow, I’m speechless! You’re a machine Sarah! Well done. Love how passionate you are about running. Thanks very much, I do love my running! Hopefully I’ll manage a similar distance this year.